Short Information: Bank of Baroda and Baroda Manipal School of Banking , are Recently Uploaded Final Result the Recruitment Post Of Probationary Officer in Junior Management Scale-I Examination 2017. 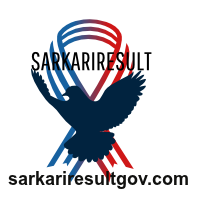 Those Graduate Passed Candidates are Registered to the Following Vacancy and Complete All Eligibility Criteria Can Read the Full Exam Instruction and Download Final Result. Bachelor Degree in Any Stream with Minimum 55% Marks From Recognized University in India..
Delhi NCR, Noida, Agra, Allahabad, Bareilly, Gorakhpur, Kanpur, Lucknow, Varanasi and Other Various Exam Center in Across India. Registered Candidates Can Read the Full Exam Instruction and Download Final Result now.